Once you learn how to make Gift baskets you will quickly realize that they are as much fun to plan and put together as they are to receive! 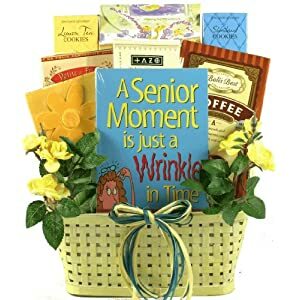 They can be treasure troves of unique and useful items that show the recipient that you had him or her exclusively in mind when you planned the basket. 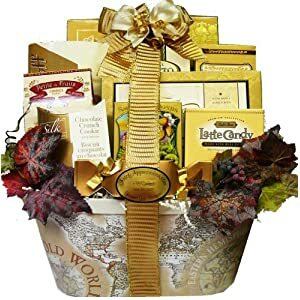 For the person who creates and bestows gift baskets on friends and family, they can be unique expressions of love and thoughtfulness – designed to wow the receivers and make them smile. If you decide you have a knack and a true love for creating exceptional gift baskets you may want to consider a home business. 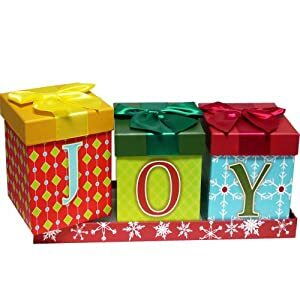 The word will get around about your baskets and your friends, family and neighbors will all be delighted to be able to call on you for gift ideas. Expand your home business by creating a website and selling your baskets online. It’s so very easy – especially after the website is up and running. There’s an almost unending amount of ideas for gift basket themes. Besides birthdays, holidays, graduation and hobbies, there are truly novel ideas for a one-of-a-kind basket. · Retirement – Baby boomers are now retiring in droves. You can create an amazing gift basket for retirement by considering the person’s hobbies (fishing, traveling, camping, boating, reading) and gathering items that would fit the theme. · Gourmet Cooks – What chef wouldn’t enjoy receiving a basket filled with items such as exotic spices, cooking wines and vinegars and fun utensils? There are so many fun “toys” that a cook would enjoy that it won’t be difficult to gather them. 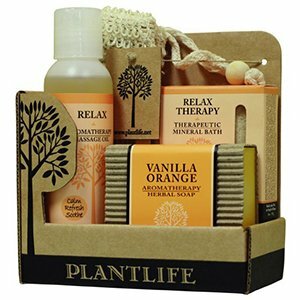 · Spa – A new mother or any deserving person would be thrilled to receive a basket of relaxation spa items such as aromatherapy candles and lotions, warm footies, gift certificate for a massage or mani-pedi and fun things for the bath – including a CD of relaxing and therapeutic music. · Golfer – Golfers always need extra tees and balls for their sport. But, you can also find unusual items such as monogrammed towels, energy bars, sunscreen, lip balm and other items that every golfer should carry in his or her bag. · Confined – Do you know of someone who is either temporarily or permanently confined to a wheelchair or bed? 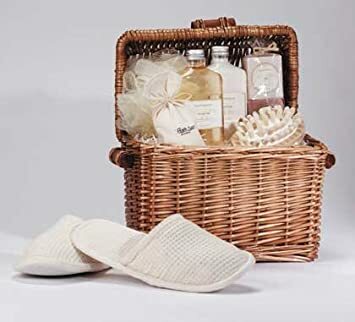 A gift basket of items to help make his or her life easier can be done with thoughtful things such as earphones, comfy slippers, subscription to a magazine, ultra nice cushion and more. 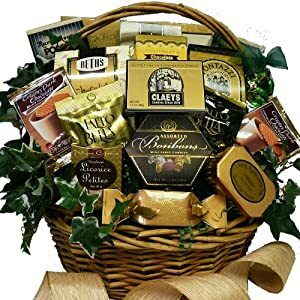 · Football Fans – Gifts abound for those friends and family members who are football addicts and you can outfit a gift basket as a hostess gift, birthday or any other holiday that requires a gift. Think about snacks such as microwave popcorn, a six-pack of beer or soda, hat with a team logo. Just let your imagination soar and think of ways to create your own themes for any gift-giving dilemma. Don’t rush out at the last minute to find bargains on basket trimmings and gifts. Shop all year round for the themes you love, such as Christmas, birthdays, Easter, weddings, showers and any others you can think of. Stock up on these items when they’re on sale and always have a ready supply of items to create with. Check your local advertisements – especially hobby stores – for ‘after holiday’ sales on ribbon, cellophane, bows and other items that you can always use. Also, find suitable basket fillers for theme baskets such as gardening, baking, spa and golf aficionados. You can even make up baskets ahead of time and have them ready for hostess gifts or unexpected events. Gift baskets are great to give as donations to a favorite charity for an auction, fund raising events and raffle prizes. 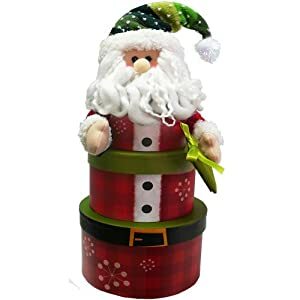 Try Amazon for an amazing array of inexpensive trim and gift ideas for your gift baskets and stock up when you find a great deal. Amazon is a great resource for trimmings and gifts. Putting together a theme gift basket is the fun part. Here are some ideas to get you started and then go wild with your own ideas. Vegetarian cook book; kitchen utensils, dried beans, trail mix and some of your favorite veggie recipes. Pour peanuts or pistachios around the larger gifts to protect them – and the recipient can eat the filling. Tissue shreds are also great fillers. Wrap with cellophane (or not) or use a large amount of gingham ribbon to bring it all together. Soothing CDs, lotions, Aromatherapy candles, quick, but nutritious snacks such as nuts, dried fruit and health bars. Cellophane is always a good wrapper for gift baskets, but think outside the “basket” and perhaps wrap the entire gift with a fluffy, monogrammed bath towel, topped with a big bow. A crafter’s storage container made from rubber or plastic. Paints, crafter’s tools such as hot glue gun, craft knife and craft books. If the crafter has a passion for a certain craft such as knitting, you can prepare a project for him or her, complete with pattern and yarn. Complete the crafter theme by using cellophane and use crafting items to decorate the outside. Pine cones, ribbons and other crafter tools can be used to create a crafter’s dream gift. A pet “bed” makes a great gathering tool for presenting the gift. Simply place the fillers in the pet bed and wrap it with cellophane. If the gift basket recipient has a variety of pets, you can let your imagination go wild and assemble cat and dog treats, fish food, leash, snazzy collars, brush and toys. There are all sorts of items at pet, craft stores and online that you can use. Tie up the basket or bed with a doggie leash or attach treats on the outside to complete the look. Anyone can think of items that would suit a Christmas gift basket, but be unique with your thinking. Think about what the recipient likes to do and then design a basket to suit hobbies, passions and the personality of the person. Then, use a festive basket to assemble the treasures. A bottle of good wine, crackers, cheese, hot cider mix and ornaments are always great items for a Christmas basket. If you have time, pack a tin with home- made cookies or fudge. Aromatic Christmas candles also make great fillers. Cellophane and a big Christmas bow are all you need to top off this much appreciated gift basket. Themes for gift baskets are virtually unlimited. There are books that you can download or purchase in “book” form that will give you many more ideas. 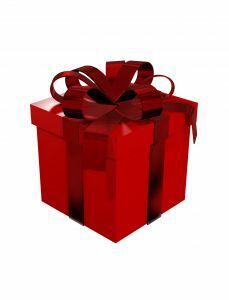 Christmas gift baskets have become very popular and they are an excellent way of giving someone a variety of gifts. You can even give a gift basket to an entire family, with something for everyone inside. 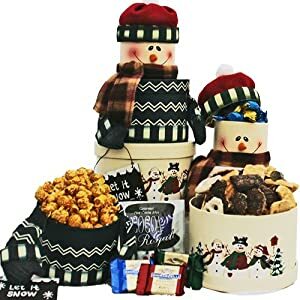 Pre-made Christmas gift baskets are a quick solution, but if you have some time on your hands go one step further and make your own personalized gift basket. This shows thought and caring on your part and your recipient will just love that you went to all that extra effort. You can put all types of gifts into your basket from foods, to bath products to hobby and craft supplies. If the person loves cooking why not include some bread, along with recipes, different spices and some kitchen gadgets. 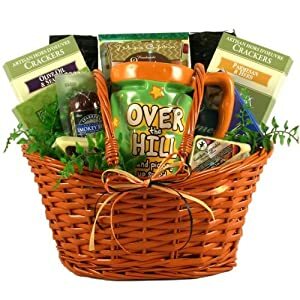 A gardener would enjoy a basket of gardening supplies, possibly a subscription to a garden magazine with seeds and gardening gloves. 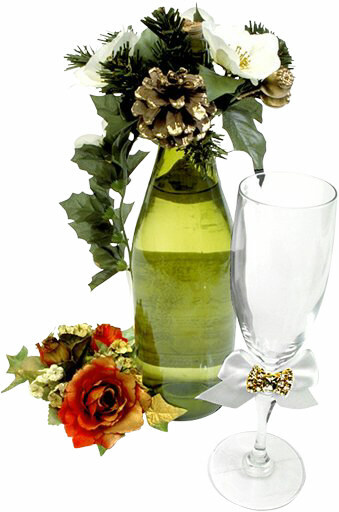 Any small holes in your customized gift basket can be filled with small items. This is where your stocking stuffer ideas come in. Add pens, socks, chocolates and even a lottery ticket inside. A personalized Christmas decoration is another great idea. They can hang it on their tree for years to come. 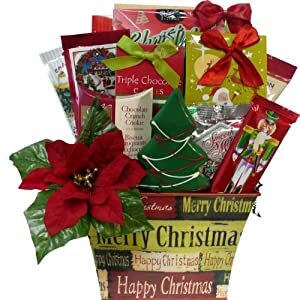 If you decide to purchase a Christmas gift basket this year, it can be done at many online specialty stores or even locally in your hometown. 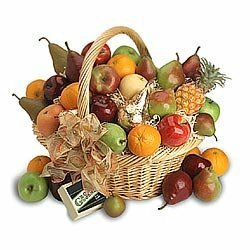 Once you start looking for gift basket ideas you will be amazed at how much selection there is. You might just possibly decide to go with Christmas gift baskets every year. 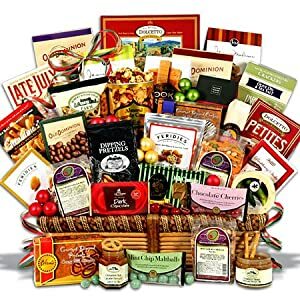 When I want to give a gift to friends who live in other countries, I always choose to buy a lovely gift basket from amazon. They always get delivered on time and in great condition, the recipients just love them, and I love the convenience of gift giving by shopping online. 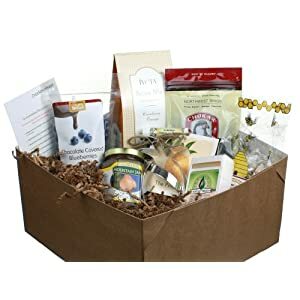 On this page I will post some links to help you get ideas for what you can put in gift baskets, as well as being able to buy any that catch your eye. And the extra bonus for you is that if you shop online from any of the links to the products that I may feature here, you will usually save money on what is normally charged in the stores, and you may even get free shipping of them to your door! These CHRISTMAS gift basket ideas are just perfect! Below here I'll also load even more pages that give you descriptions and instructions for how to make gift baskets for a wide range of people and hobbies and interests and so on. 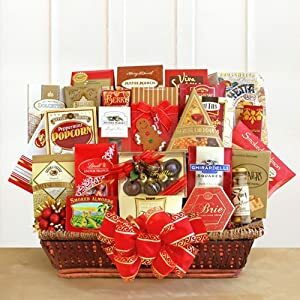 Offering online gift baskets can be made into a very lucrative business if you love and really have a knack for making gift baskets – especially if you can suggest or create unusual ones. There are templates you can use to create a working website and some hoops you have to jump through to get it up and running and drive traffic (customers) to the site. But, once it’s up and working you can relax. Creating a blog for gift baskets and linking to your site is a great way to drive traffic that will convert to sales for your site. If you’re technically-challenged, look into having someone trustworthy to set up a site and blog for you. The cost is minimal compared to the amount of sales you’ll reap when your website looks and functions great. 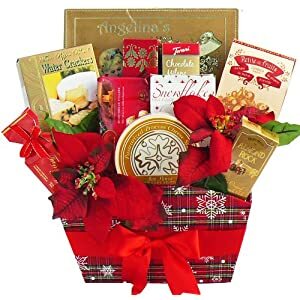 Look at other online websites for gift baskets and make notes. Decide how you can improve on what’s already there. Then, you’re on your way to doing what you love, being your own boss and creating a business you can be proud of and supplement your income with. If you don’t want to go to the trouble of designing and building a gift basket business, keep it as a hobby and just have fun with it. Ask your friends and family to keep you informed about sales on trimmings and other items that would be good basket items and store them until ready. Make up baskets ahead of time and they’ll be ready for unexpected events. Christmas and birthdays happen every year, and you can be ready without having to rush out and search for a gift that you end up paying more for. 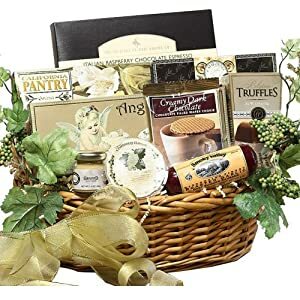 Your gift baskets can be full of edible items, hobby stuff, wine, books or anything that will be appreciated and used by those who are lucky enough to receive one of the baskets. Your shopping experiences will never be the same because you’ll always be looking for great deals to fill and decorate your baskets with. The main thing to think about when considering putting together a gift basket is to Enjoy the Process!